In case you’re wondering, I’m the one in the Santa suit. The remainder are not going off to their trawler deep-sea fishing as it was pouring with rain, which is an advantage as we get the sympathy vote & people tend to contribute more money! A familiar site around our District & all over the UK in December are the Christmas floats. My own clubChatham’s started in 1984 & we have recently worked out that we have collected a total of £71k since then. 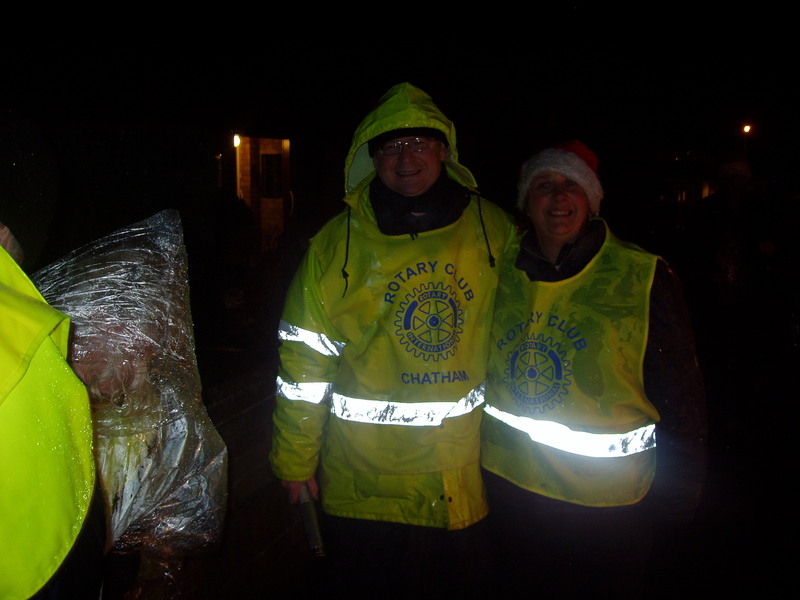 The Christmas float was also my introduction to responsibility in Rotary as I was asked to organise it just after joining. Doing Father Christmas is great fun, not only seeing the excitement on kid’s faces but also an opportunity to chat their mums up! I did upset one family who came to the door all wearing Charlton Athletic football club tops by telling them that Santa supportsPortsmouth! At the end of this particular round we stop at a children’s home. We visit the home on Christmas day & the real Father Christmas hands out toys in the grotto. However we stop here at the end of the round & the children come out & we get hot chocolate & festive savouries. I was in a predicament here as I couldn’t just lift the beard up to eat & drink as I would upset all of the children but at the same time I could not just leave the food! Fortunately the man in charge came to my rescue & I was whisked out of site of the children & enjoyed the food & beverages provided. 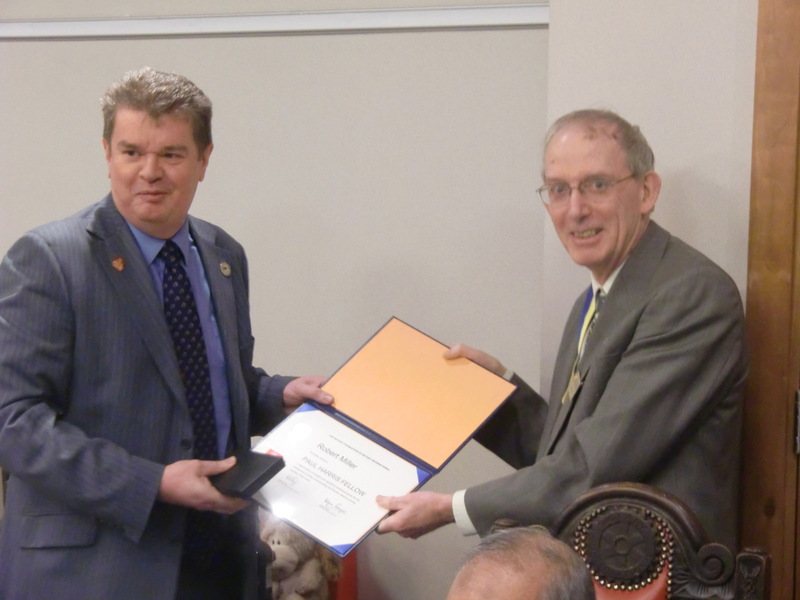 Note: At Chatham Rotary Club’s Christmas Dinner, Rotarian Robert Miller was named a Paul Harris Fellow, in recognition of an individual’s efforts to promote the object of Rotary of service to the community above self. 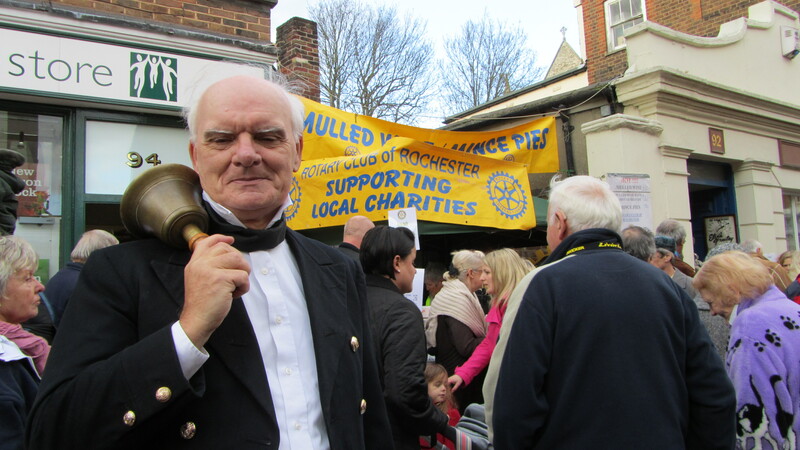 Robert, who works as a Customer Relations Manager with one of the big banks, joined Northfleet Rotaract Club in 1981and served as District Chairman in 1988/89. Robert became a Rotarian in 1998 and, after chairing various committees, served with distinction as president of Chatham club in 2003/04. Rather than take a well deserved rest after his presidential year, Robert took on the duties of Club Secretary for some years and then widened his service to Rotary becoming Assistant District 1120 Secretary in 2007 and then Executive District Secretary in 2008, a position he continues to hold. Rochester, Kent, 3 January 2012- The Rotary Club of Chatham At Chatham Rotary Club’s Christmas Dinner, Rotarian Robert Miller was named a Paul Harris Fellow, the highest accolade that Rotary International can give in recognition of an individual’s efforts to promote the object of Rotary of service to the community above self. Robert, who works as a Customer Relations Manager with one of the big banks, joined Northfleet Rotaract Club in 1981and served as District Chairman in 1988/89. Robert became a Rotarian in 1998 and, after chairing various committees, served with distinction as president of Chatham club in 2003/04. Rochester, Kent,19 Nov. 2011- Santa was delighted by the support of Chatham’s children for his charity fund raising mission. The funds collected will contribute to helping under-privileged children and people in need. Santa thanked the children for their donations by offering them sweeties and by having a photo with them for publishing on the club’s website and blog. The event took place on Saturday 19 Nov. 2011 at the Dockside Outlet, Chatham, Medway, where TV presenter Jenni Falconer switched on the Xmas lights at 3 p.m. at the centre. 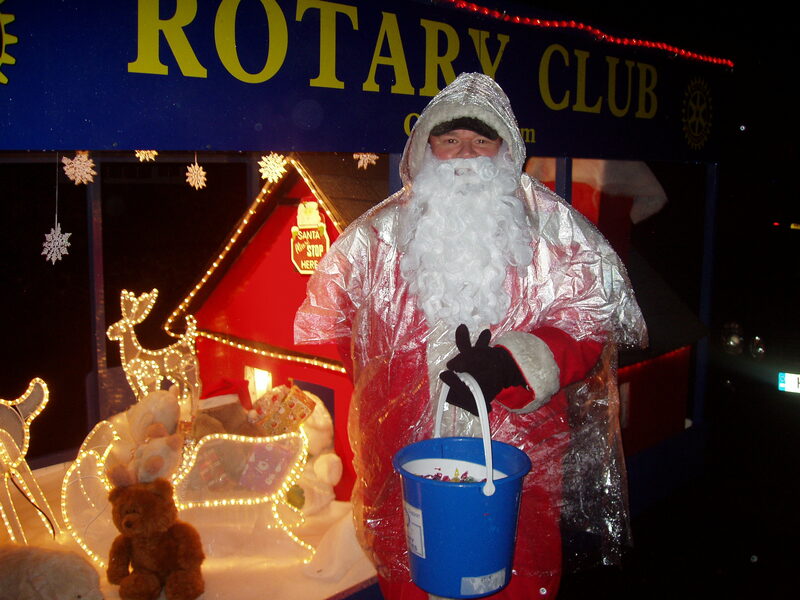 “The Rotary Club of Chatham is happy to see the reaction of the Children of Chatham. They reflected a high sense of social responsibility in their support to a charitable cause,” said Dr. Ravi Vibhuti, President Rotary Club of Chatham. 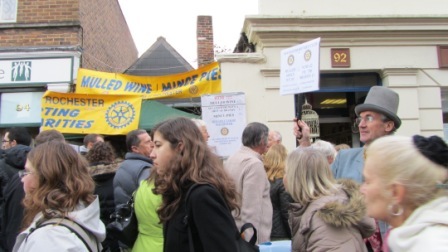 The Rotary Club of Chatham raised more than £13,000 during last year and supported many charities including Clic Sargent, Cerebral Palsy, MacMillan, Medway Parkinson Society, Wisdom Hospice, and other. The returns from this year’s activities will also go to many local charities. 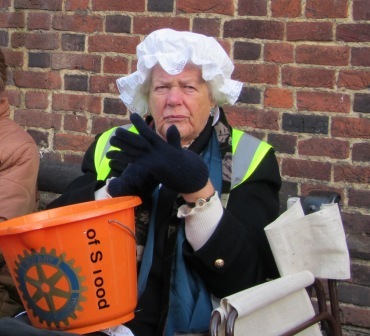 Members of the Rotary Club of Chatham will be fund raising in Asda Store- Bridgewood on Saturdays 10th, 17th and 24th December. There will also be a collection on Friday 23rd December in Lordswood street. 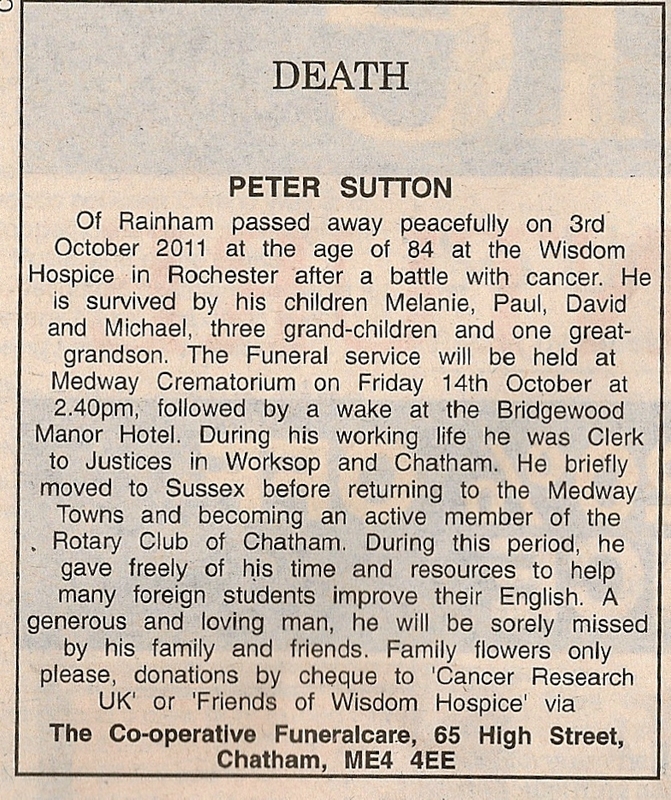 The Rotary Club of Chatham encourages the community to visit the Club’s website and blog www.chathamrotary.org.uk, http://rotarychathamuk.wordpress.com/ to know more about the Club and its activities, achievements and events. New Members are welcome. A very informative workshop by Edd Withers. After 20 years of hard work, Rotary and its partners are on the brink of eradicating Polio, but a strong push is needed now to root it out once and for all. It is a window of opportunity of historic proportions. Rotary’s US$200 Million Challenge is the Rotary Foundation’s response to the two grants totaling $355 million from the Bill & Melinda Gates Foundation to help eradicate polio. Every dollar given to PolioPlus will be counted toward the $200 million match, which must be completed by 30 June 2012. Your contribution will help Rotary raise $200 million to match $355 million. I have drafted a couple of press releases for club and district levels for World Polio Day. Please feel free to change the quotes and add information about local campaigns. Just be sure to add in the club/district names in the headers and footers, as well as replacing the bold red text. Title: Social Media – what it is and how to use it to advance your club and projects. Ideal for: Club Public Relations and Communications Chairs, however the workshop is open to all Rotarians. If you’ve heard of Facebook, Twitter, Linked-in, Google+, etc but don’t know enough about how they could help (or hinder) your club and your projects, this workshop is for you. it isn’t. It will cover how social media can help within your Rotary Club and attendees will have the opportunity to set up their own social media presence with Edd on hand to help if you get stuck. You are encouraged to bring a laptop with you if you have one for the practical sessions. This workshop is limited to 15 places. To request a place please email Rtn Steve Root (organiser) steve@rkbb.co.uk. Applications will be processed on a first come first served basis. If this workshop is well received we may be able to repeat it in other venues around the district. Therefore, if you would have liked to come but can’t because of location or having prior engagements, please email Rtn Steve Root (steve@rkbb.co.uk) with an email titled “SM Workshop Repeat”, and details of your preferred location(s) (eg:nearest town). * Edd has given his expertise freely, the Sunlight centre have allowed us free use of a room, however you’ll need to buy your own Coffee/Tea/lunch from the cafe. The parking in Richmond Road, from outside the centre down to Medway Road is unrestricted. Should there be no spaces there, if you turn right at the bottom of Richmond Road, go under the via duct into Roseberry Road, there are no parking restrictions in Roseberry Road and you can normally find spaces there. Money – for coffee/tea/lunch, available from the sunlight centre’s cafe. Bring your Laptop, if you have one – for the practical session Pen, Paper, etc. Informal but presentable. Jeans are fine, there will be a photo taken for use in press releases promoting Rotary, etc.